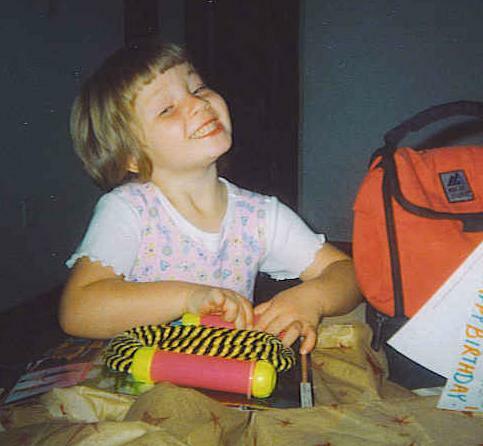 These pictures are from Katie's preschool years. 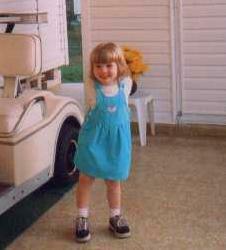 bludress.jpg: Katie in a pretty blue dress. 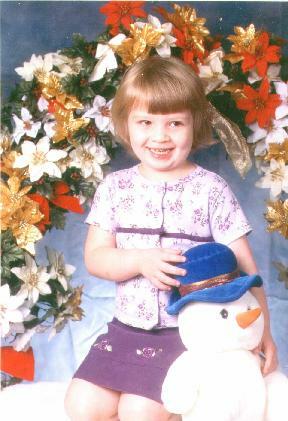 katesnow.jpg: Katie in a posed picture with a snowman and a flower wreath. 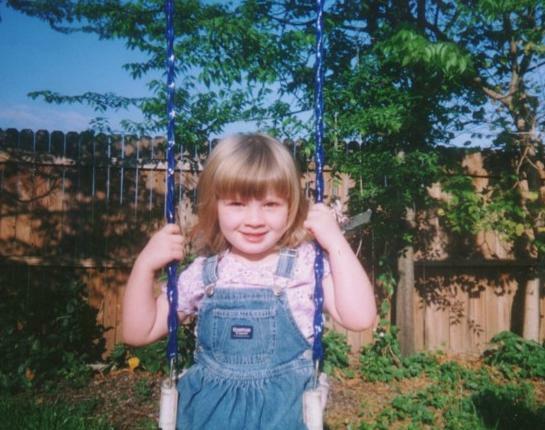 kateswng.jpg: Katie's on a swing, looking disturbingly like her mommy. 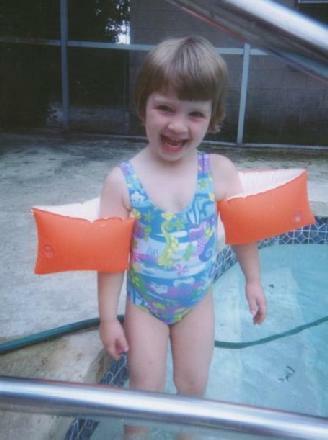 katepool.jpg: Kates in da pool, with her swimmies on. 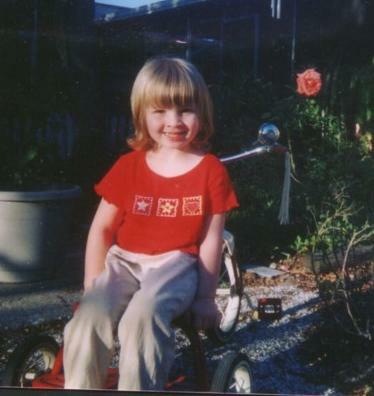 trike.jpg: Here she's sitting on a tricycle. 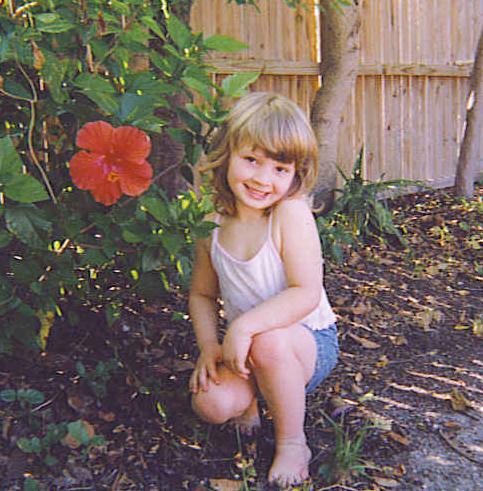 kredflur.jpg: Four years old, with beautiful red flowers. 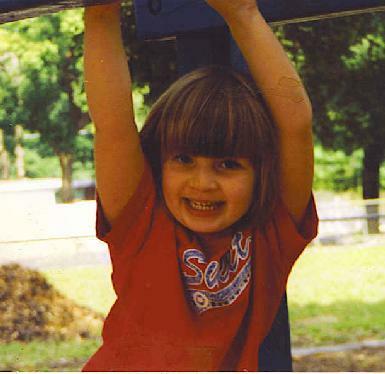 hangmonk.jpg: It's a little monkey girl! 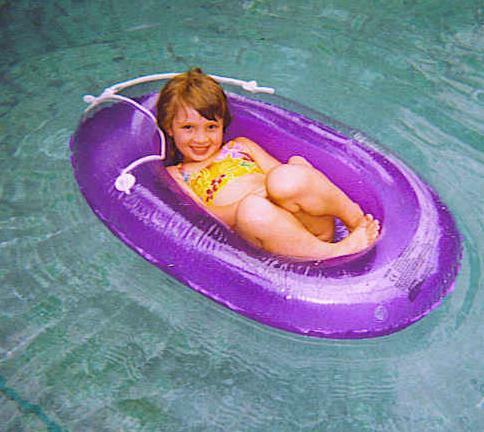 kboat.jpg: Here she's floating adorably in a boat. 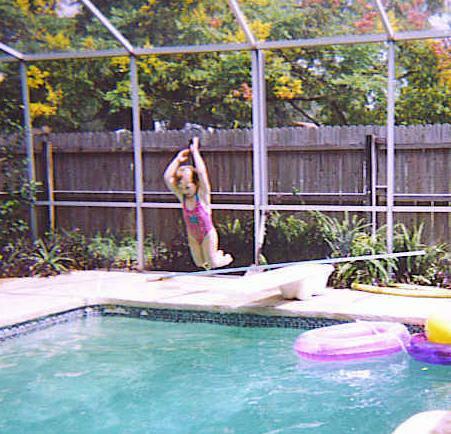 kdiver.jpg: She can jump off the diving board, too. 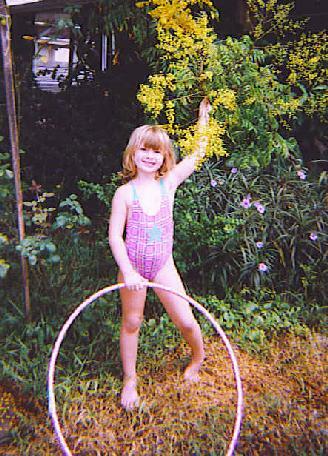 khoop.jpg: She's by flowers, with a big hoop. 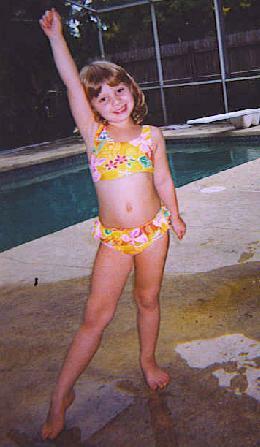 ropey.jpg: Beware, looks like she's got a jump rope here. 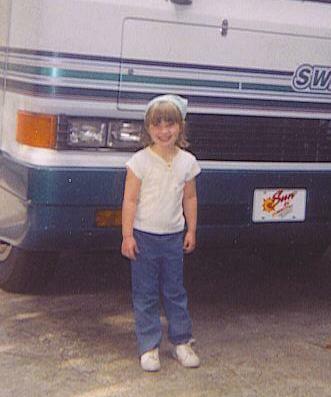 kvan.jpg: Almost five years old, wearing a cute kerchief in front of the van. 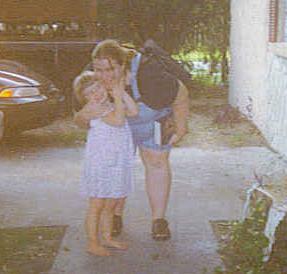 facegrab.jpg: Grab Mommy's face why don'cha. 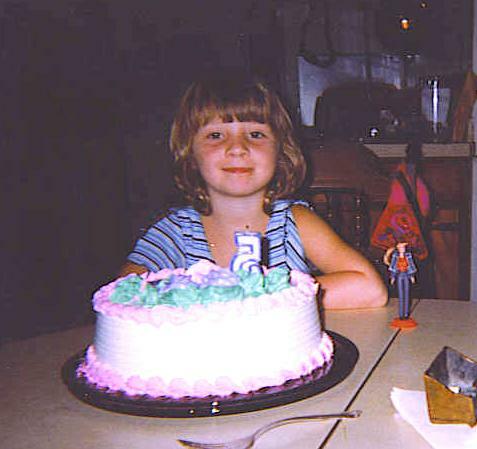 5cake.jpg: Here's her fifth birthday cake. 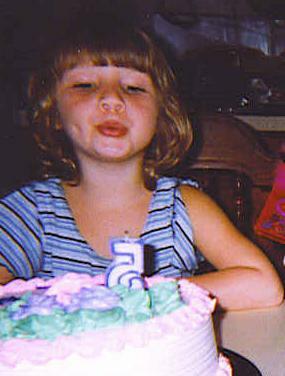 5blow.jpg: I couldn't resist the one of her blowing out the candles, either.